​Perched behind her 1963 Smith Corona Sterling typewriter, Poet Marie Whitman creates potent poems on-demand. 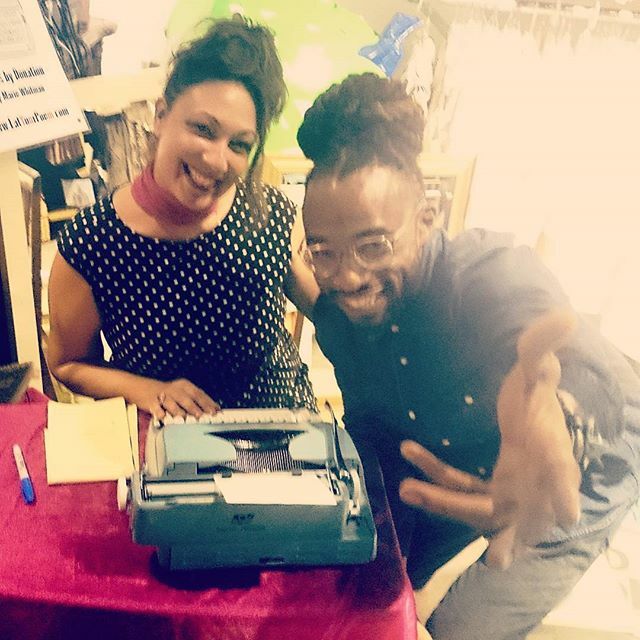 Her Pop-Up Poetry Salon is part public performance, part intimate interaction, part intuitive healing art. 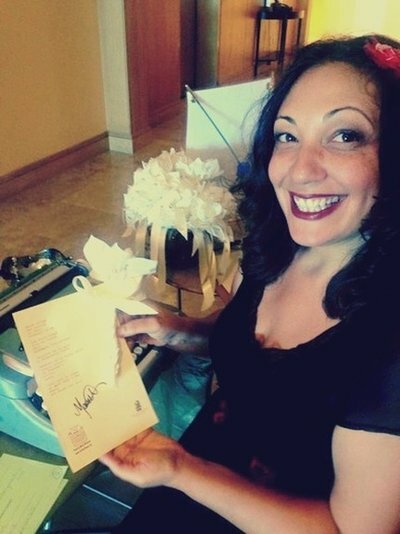 Add a unique, unforgettable element to your event and give your guests a the gift of receiving a personal poem to keep and cherish. 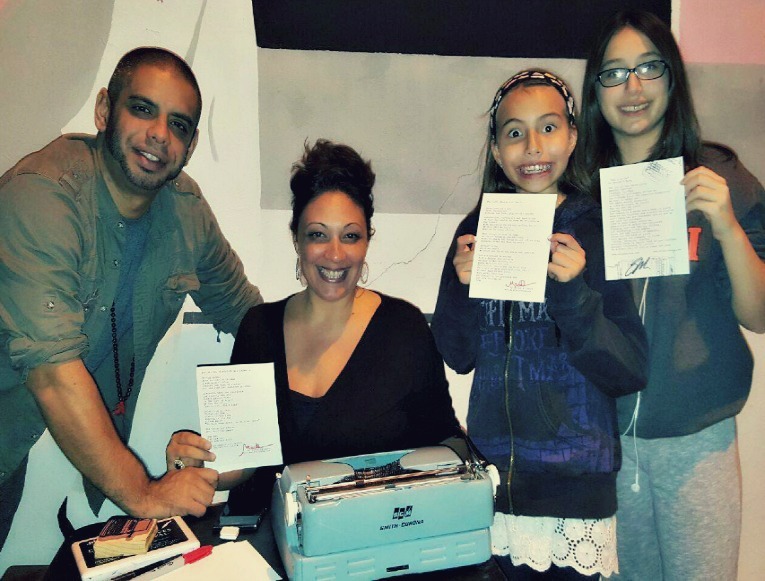 If your happening happens to have a BIG guest list, we can provide a POP-UP POETRY BRIGADE! Two, three or four talented wordsmiths will bring a bevy of beautiful typewriters! ​"Thank you Marie, for the engaging poetry experience at the Ritz-Carlton Spa. 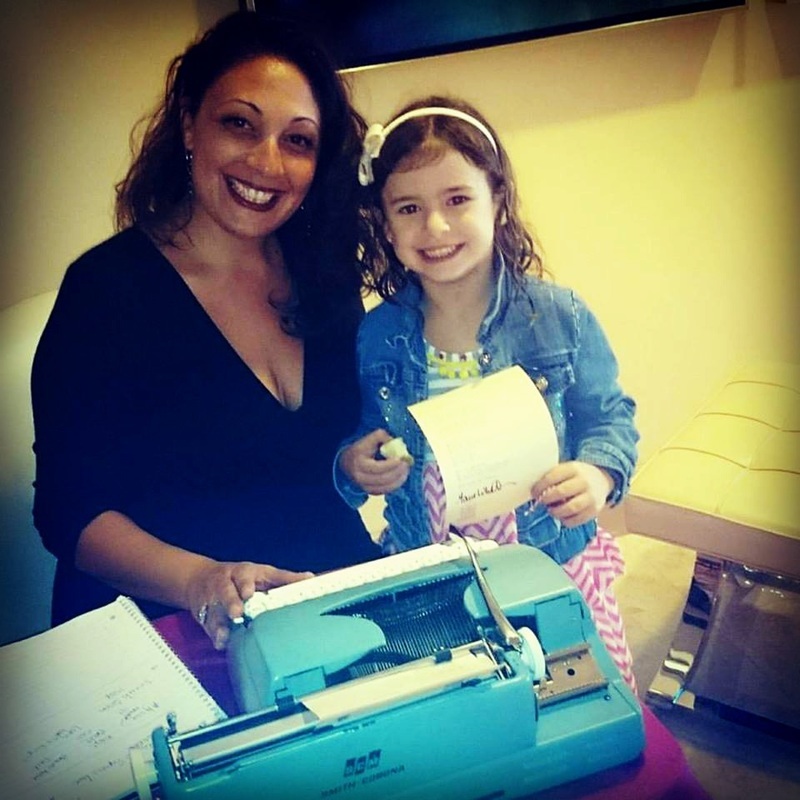 Everybody was attracted to the old fashioned typewriter sound and loved receiving a personal poem. Keep sharing your talent and transforming people with your inspiring words..."
​"I've had several occasions to work with Marie Whitman and have been thoroughly impressed with her poetic stylings. She turns out brilliant, evocative poems that capture the humor, whimsy and seriousness of life. She is a treasure." Pictured below, Marie Whitman composing poems for a Neiman Marcus Fashion Show. Lucky guests received a Neiman Marcus journal with one of Marie's original poetic pieces hand-written on the inside cover! ﻿"Marie Whitman created spontaneous poems at my gallery, during one of the art walks. Eventually I became curious myself. I approached & gave her three words I thought she'd never be able to place together in a poem ﻿﻿about me. My words were lunch, wild & cosmos. The challenge was on! Wow! I was actually moved. What had been a game became something profound, like she had seen inside & brought out my very best qualities through language & verse. I hang my poem on a wall near the kitchen, where I can read it anytime I need an affirmation."